Exhibition Centre Liverpool: Smart Factory Expo 2017! Smart Factory Expo -The UK’s biggest showcase for the Fourth Industrial Revolution (4IR) returns on the 15-16 November 2017 but has moved to its new home; the superb Exhibition Centre Liverpool. It’s no surprise that only 28%* of UK manufacturers have begun implementing a move to industry 4.0, the concept involves complex new ideas such as – Industrial Internet of Things (IIOT) – Additive Manufacturing – Servitization – Artificial Intelligence – Automation and Robotics. Attending the Smart factory Expo will help you and your team come to grips with these concepts. 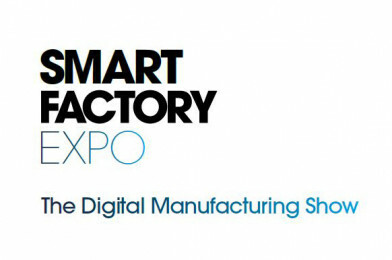 For the first time this year, Smart Factory Expo will include an Innovation Alley, a dedicated space for visitors to experience cutting-edge innovation from both start-ups and established players alike. Additionally, Buyers Lounges and Mentor Clinics offer prime meeting spaces where sellers can engage directly with potential clients, and buyers can seek guidance.